I only own one decanter. I know that seems a bit strange since we drink so much wine, but that’s it, just one. And it happened to be dirty on the night of the last Twitter Taste Live, which was too bad, since this wine really needed a decanter. Or about 10 years in the basement. 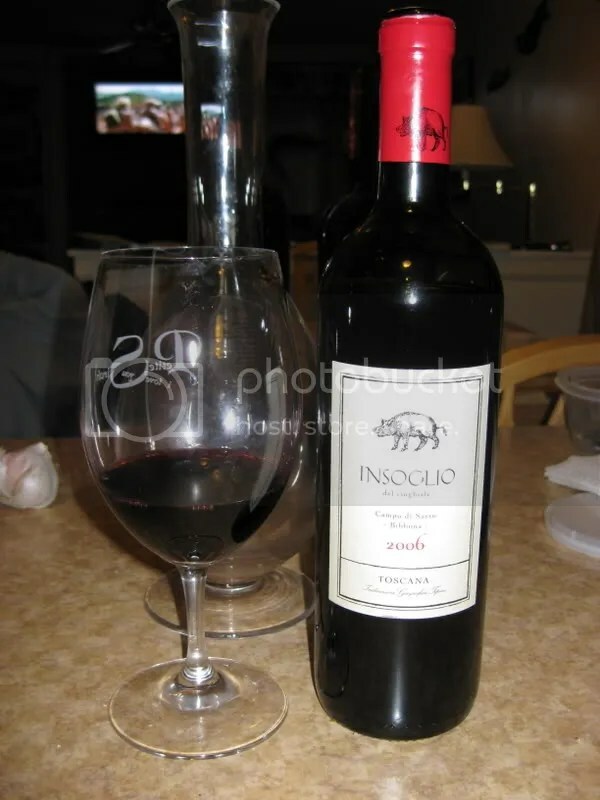 Up last for the evening, the 2006 Insoglio took the prize for my favorite red of the evening. It had a real cork closure, clocked in at 14% alcohol by volume, and retails for around $40. I paid something less than that in a tasting pack from Bin Ends Wine. The Insoglio showed lots of cherries on the nose, with an interesting smoky funk, strawberries, earth, and spice also making an appearance. In the mouth the wine seemed smoother than I thought it would be based on the nose. I found chocolate, anise, berries, earth, strawberries, and raspberries. It definitely had some tannins to spare, but even on night one I found it interesting. On night three, this wine was amazing. It held up so well just on the counter with the cork stuck back in. (I’m also a bad wino in that I only own one stopper for my Vacu-vin…) The nose showed plums, chocolate syrup, blackberries, spice, pepper, peppers, and something green/herbal. 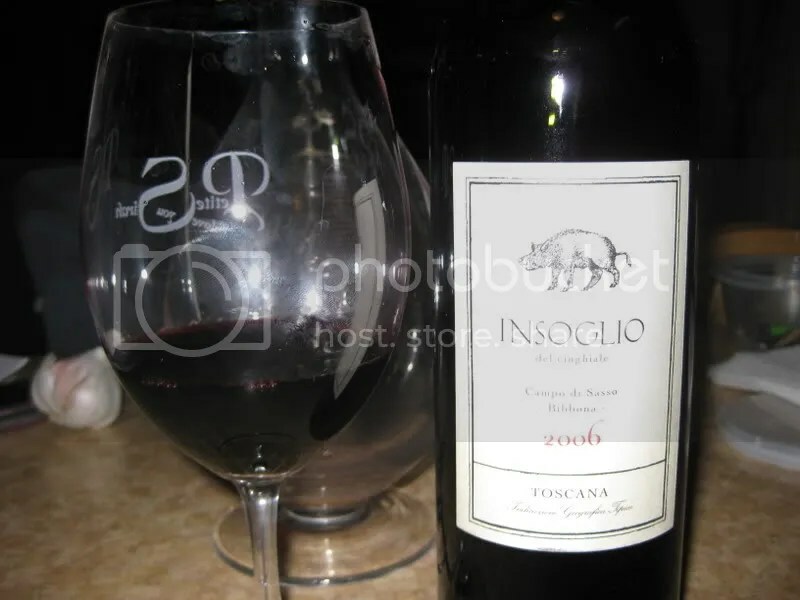 In the mouth, the wine had smoothed out, but still had great acidity. I found black cherries, black fruit, and plums. What a great wine.